Crystals are part of Mother Nature. They have quartz and silica elements, which are principle components of the human body. They emit a dynamic frequency that complements the electromagnetic fields on the earth and the human body. The most common crystal is the quartz crystal. It has various uses that involve powering wristwatches, radio, and computers. Moreover, crystals contain a resonance that contains healing properties. Typically, they are healing crystals. In addition, these crystals have the ability to intensify the energy of other stones. The idea of crystal healing might seem farfetched, but the stone contains healing properties that can promote a person’s wellbeing. The holistic healing process occurs when the body regains its balance of the spiritual, mental, emotional and physical body. Your emotions and feeing revolve around the energy of these four bodies. If there is a disruption of the four body patterns, a person experiences ill health. The role of healing crystals is to restore the body balance using various techniques. Healing crystals radiate energy patterns because they consist of superior consistency. Every crystal has a unique structure that makes it resonate at a specific frequency. This frequency enables the crystal to poses specific healing abilities. Therefore, if you harness the crystal energy, you achieve an ultimate wellbeing. The crystal stimulates body energy to trigger the natural healing elements. In addition, crystal healing depends on the crystal color. A combination of crystal healing power in the body can achieve a higher purpose of promoting personal wellness and beauty. 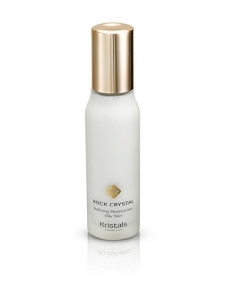 In this regard, a combination of crystal elements in skin products can have magical outcome because the product can promote a balanced emotional, physical and mental wellness. It is important to note that healing crystals works holistically, and they bring relief all over the body. They neutralize negative energy, harmonize the emotions and they improve personal wellbeing. Placing crystals on specific parts of body can achieve specific healing results. The history of healing crystals goes back to early civilization. The clarity of the crystals provides a platform where you can see things in a clear perspective. In fact, crystals reflect white energy, which is pure and full of healing power. The crystal’s power comes from its structure, and it infiltrates into the deep depth of the earth. In other words, it is the path used by the energy to flow from the depths of the earth into the human body. Ultimately, healing crystals can serve various purposes. You can use crystals to help the body, gain inspiring insight and transform the spirit. In addition, you can use crystals to eliminate the negative energy, which can cause emotional stress. It will also guide you against negative energy. Therefore, you will have a smooth flow of energy in your body and spirit.